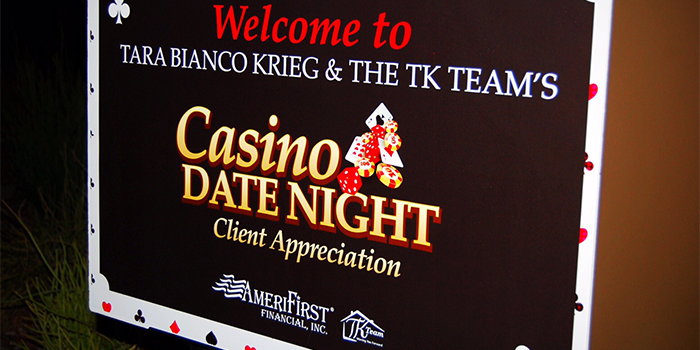 Thank you so much for coming out to our Casino night to thank and celebrate YOU! Our clients are the lifeline of our business and we are so grateful you took time out of your busy schedule to let us say thank you. My business has truly become a referral-based-business thanks to clients like you who keep us in mind when they come across friends, family and coworkers who are thinking about buying or refinancing a home and would appreciate the level of education and advice we provide while keeping our service levels top notch. We hope that we will see you again in the Spring for another fun Appreciation event that will be family friendly and aimed to please!